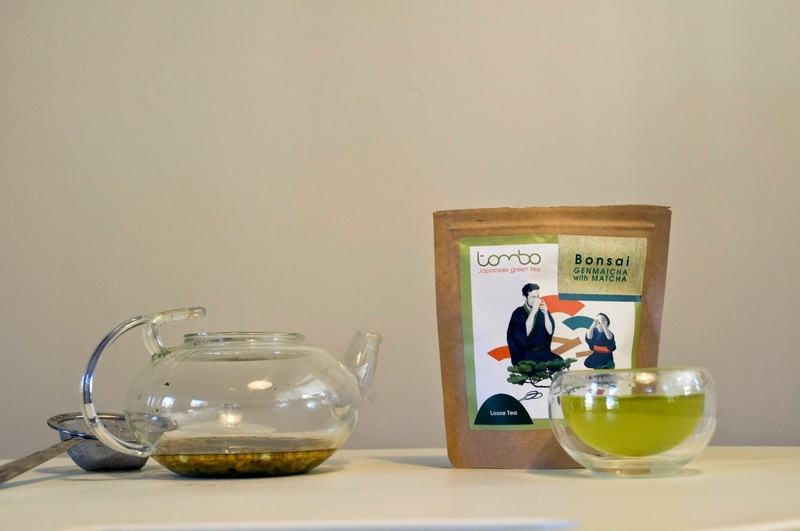 Today i'm wandering down to the Japanese part of Tea Street to write about 'Tombo Tea', a Mother and Son run business that offers quality Japanese green teas. 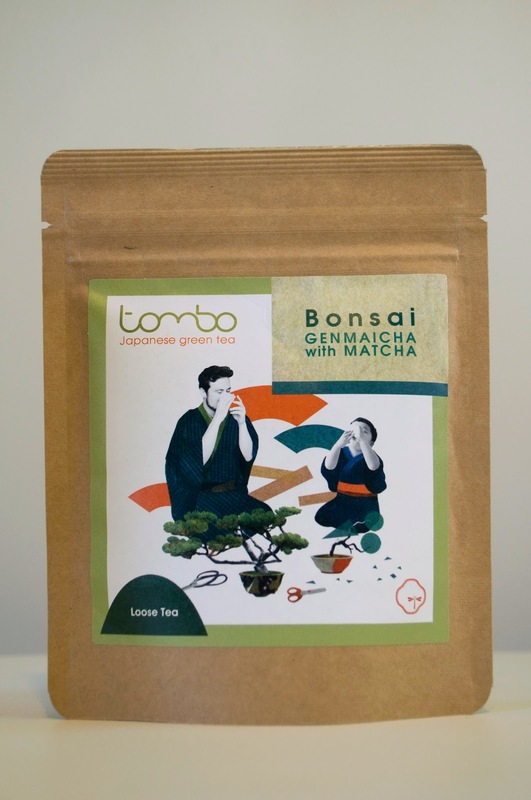 'Tombo' is Japanese for Dragonfly, a symbol for renewal and positive force and this blog post is a joy to do, because it seems a great deal of care has gone into these green tea products. I'm quite a visual person so I love these glorious illustrations on the packaging seen in the images above and below. They are by Natsuko Seki, a London-based Japanese illustrator who's also supplied similar collage-style images for luxury global brand 'Louis Vuitton'. Seki's style of work usually centres around urban living, and together with Tombo Tea there seems to be a feel of bringing Japanese tea drinking tradition into the modern community. With this in mind, i've enjoyed a lovely afternoon of tea tasting and have found the brewing instructions easy and the whole thing has felt like a real treat. I'll start with the 'Kukicha Cherry Blossom' loose green tea with cherry blossom leaves, grown and packaged at Muruyama Tea Estate in Japan. 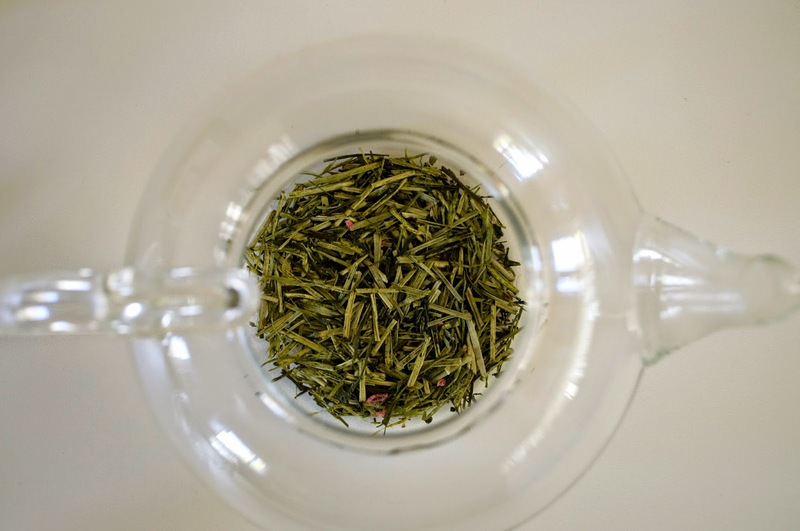 Kukicha tea is from the tea stems rather than the leaves and when I open the packet, there's a lovely sweet sencha aroma. I love cherry blossoms as they're so pretty and iconic to Japan so I love seeing the pink colour in the tea here, even though i'd like to see even more of them! Once brewed the aroma opens up into something more complex; spring-fresh like cut grass, everyone's favourite scent (unless you have hayfever!) and although it reminds me of pea soup it's nice to see a green tea looking GREEN. 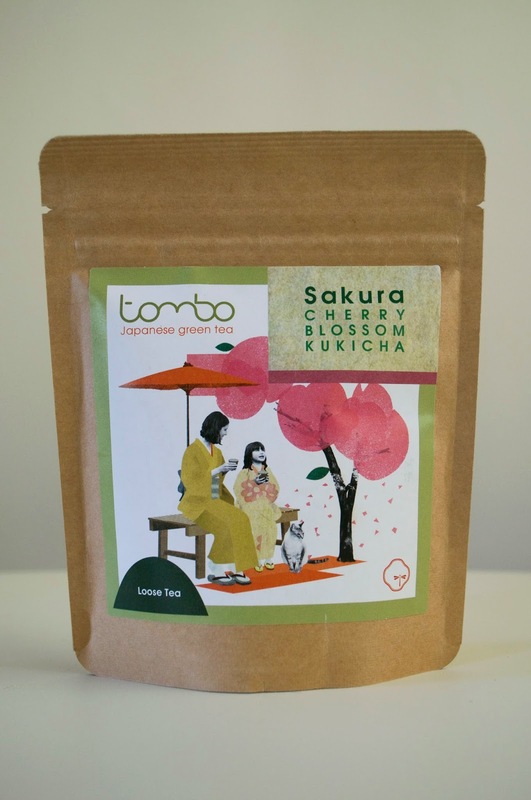 It has a tangy, grassy flavour with a sweet floral taste from the cherry blossom. Long-lasting aftertaste and overall very refreshing. Lastly for today i'm trying the 'Bonsai Genmaicha and Matcha' loose leaf tea. The ingredients are Sencha green tea, rice and Matcha and the tea is also grown and packaged at Maruyama Tea Estate. There's lots of tea in a 50g packet and it helps to shake it a little or you end up with more rice than tea the first time! 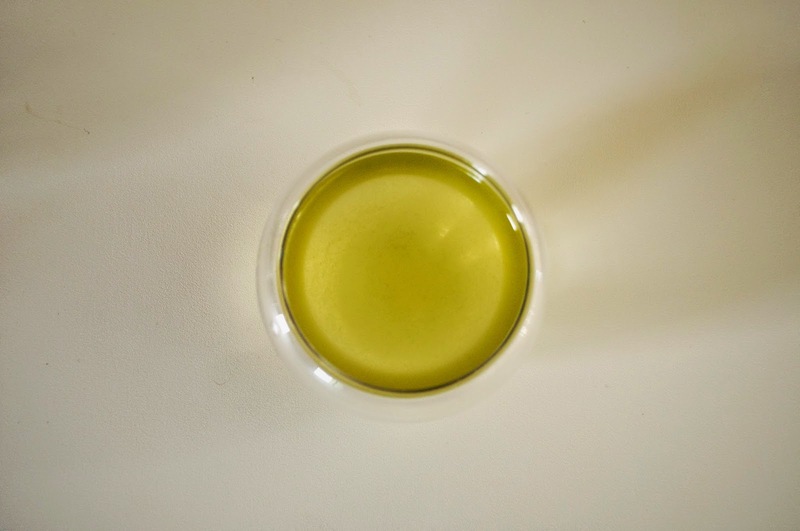 This tea also infuses into a lovely green colour, probably due to the Matcha and it's nice to see Matcha as an ingredient rather than just drinking it on its own. This makes it an easy way to get some antioxidants in each day without all the whisking and preparation! 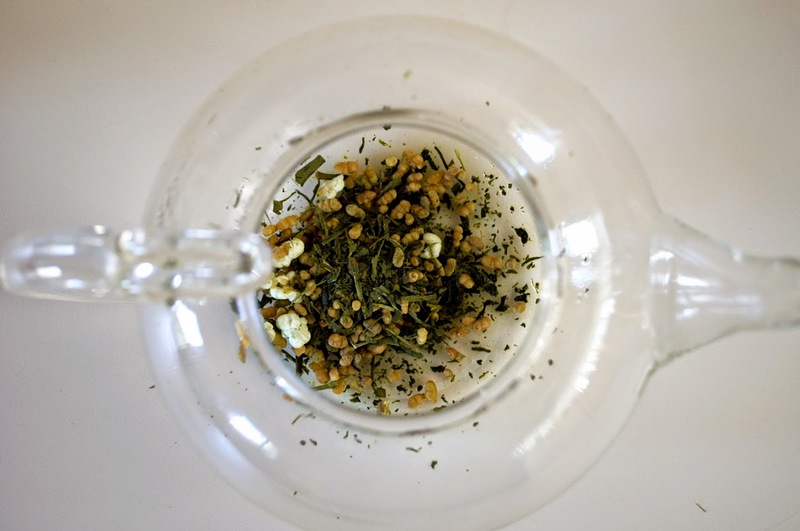 Interesting combination as well considering Genmaicha was thought of as a cheaper tea and Matcha is a ceremonial high-grade tea. The taste seems like a wonderful contradiction of competing flavours, almost like taking a trip down a lively market! The rice gives it a nutty aroma very much like toast and the Sencha and Matcha create a zesty bitter-sweet taste, which is even more noticeable on the second infusion. I really recommend these teas, which you can buy for £6.50 per 50g packet. They also come as teabags, which i'll post about soon too along with Tombo Teas Matcha powder.